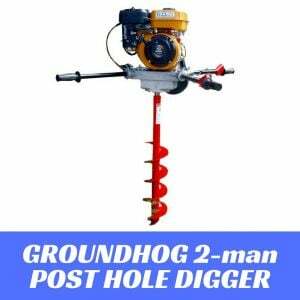 The One-man Hydraulic Post Hole Digger is the most powerful digger in the Groundhog line. 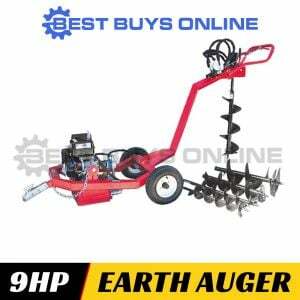 The use of hydraulics greatly reduces the need for maintenance, it increase the torque and allows for digging with augers up to 18" in size. 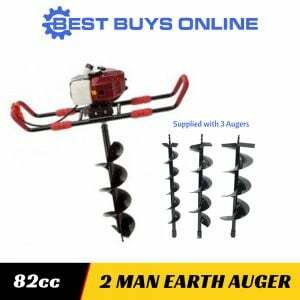 It is designed to put the power of a two-man machine in the hands of one-man. The unique right-angle design minimizes operator fatigue by eliminating torque kick-back to the operator. 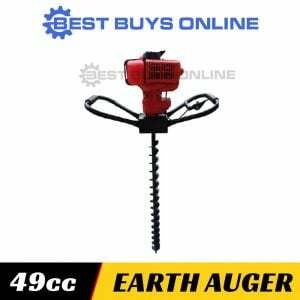 The heavy duty construction with variable speed forward and reverse auger rotation means that it will dig easily and efficiently. The low profile and compact design eliminate the need for telescoping booms and axles and allows the unit to be transported in the bed of a small truck. It comes equipped with a towbar (for on-site use only). 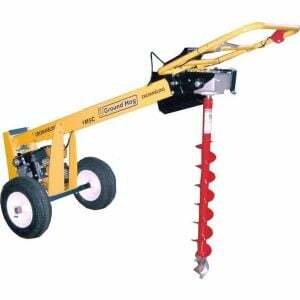 Operation Width (mm) Up to 18"
Optional Extras: Auger is not included but 2" - 18" Augers are available (100 - 460mm) and Honda Powered may be supplied. Please call us on (03) 9210 0400 for special deals.